LOL I don’t know why the title of this blog makes me laugh! Reminds of the ‘Do you even lift bro’ video I’ve referenced before! Detoxifies: It purifies and tightens pores. Invigorates: Organic licorice stimulates new cell production, while Old Man’s Weed (wonder what this is!?!?!) 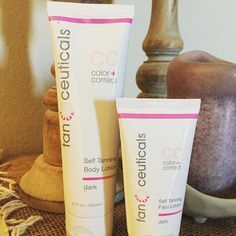 tackles pigmentation. Old Man’s Weed is actually Centipeda cunninghamii. There is a ground cover vine that grows in Australia known as “Old Man’s Weed” that is being used in skincare products to treat skin problems. It contains high amounts of thymol which is apparently a great natural antibiotic & an antifungal agent. It’s also high in vitamin C – actually even greater amounts than thymol – so that’ll help you get rid of dark spots. WHO KNEW!? Now we both do! Brightens: The combo of kakadu plum and mangosteen work together creating a defense shield to leave skin clear & glowing. Kakadu plum is a native plant to Northern Australia. It’s best known for its healing properties. It also is high in vitamin C, rich in antioxidants & soothes irritated skin. As for the mangosteen, it is a pretty fruit that looks like a plum and is best known for being rich in antioxidants. But anyways, when using this mask, I get ENORMOUS amounts of tingling on my face. In fact, I was a little scared at the beginning that my skin was having an allergic reaction to it because it got that tingly and warm. LOL! Of course, I would go into full on panic over this. #Dramatic. But anyways, I was SHOCKED by how tingly the product was and then I thought back…. The product is said to be tingly! Doris closed, that’s why I knocked…. ^ LOLOLOL! I just couldn’t take it when Keely told me that joke… classic! Okay so now that you’ve heard a funny joke, let’s dive in! The short answer that tingly is not always better, but it actually can be better and mean that it’s working. So we probably suggest that you read on because it can be a little complicated. What makes my skin tingle? Those products exfoliate the skin, which means they are taking little amounts of skin off your top layer! 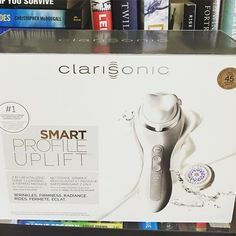 In turn, that makes you feel like the products are working because the nerves are firing to the surface of the skin because the skin is newer underneath and all the dead skin cells have been exfoliated. But there can be other reactions to these ingredients which includes very little to any tingling at all. And that’s often because the skin has built a resistance to it or those individuals use those ingredients on a more frequent basis. Making them less susceptible to tingling. Is tingling always a good thing? So as you could have guessed, not all tingling is created equal. And here’s why! If your skin is feeling WAY too tingly after using a product and there is no reference to that experience on the product label, it’s probably not a good thing. If your skin is dry and tingling, then you may be exasperating your skin’s dryness and we would suggest that you discontinue use of the product. 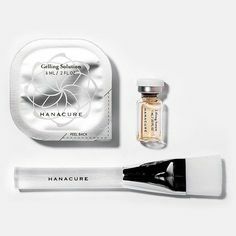 If you’ve had performed a microneedling procedure or something slightly invasive and experience tingling when using your products (when you hadn’t before), that may be irritating your already new skin. If you experience tingling when using a stronger product, keep an eye out for your skin. 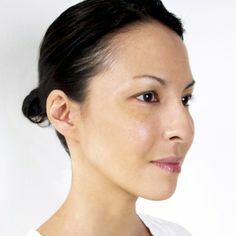 I experience tingling when I use Glytone’s Rejuvenating Mini Peel and that’s mainly because it’s packed full of glycolic acid. So I typically use this sparingly. Sure, it’s a good tingle, but I don’t want too much of a good thing in this case. Don’t be fooled by skincare brands that say the product is working when you feel tingling and it’s FULL of cooling botanicals like mint, menthol and eucalyptus. These ingredients actually naturally tingle and cool the skin. So while it can be good to cool down the skin in cases like melasma, it’s not really ‘working’ in the sense that a glycolic acid based tingling product would work. Does that make sense? #CheekyConfidential If you have Rosacea, I would be careful with these tingly ingredients. It can certainly irritate your skin. Let’s take Sand & Sky’s ingredient list for example….Can you spot any products that would help your skin TINGLE!? We see several…. Australian Clay, Bentonite, Kakadu Plu, Fruit extracts, Old Man’s Weed, Liquorice, Root Extract, Vitamin E…. See you get it! Lots of great tingling ingredients in there. If some products tingle and others don’t, it can be really hard to figure out which ones are ‘working’! A first step is to check the labels of your products, just like we did for Sand & Sky up above. If you see ingredients like glycolic acid or retinol, you can probably expect a tingling sensation. Similar to how we do for the Glytone glycolic peel. If you see ingredients like menthol and eucalyptus, you might still feel a tingling or cooling sensation, but it’s really a farce and isn’t doing ‘much’ for your skin. 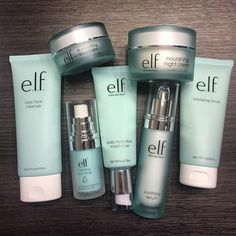 What products make your skin tingle? Do you like to tingle? Do you like to know when your products are ‘working’? Tell us in the comment’s section below. Until next time, happy tingling! Previous PostScalp Facials Are a Thing…. Next PostWhat’s the Sitch on Botanical Skincare Products?